Bayliner boat graphic decal stickers are a great way to colorize your pontoon boat, fishing boat or power boat. Specializing in marine supplies, marine accessories, boat parts and accessories Great Lakes Skipper carries Bayliner boat graphic decals, including replacement boat decals. These graphic decal stickers are original boat decals and boat graphic decal kits manufactured by Bayliner. Looking for replacement decals? 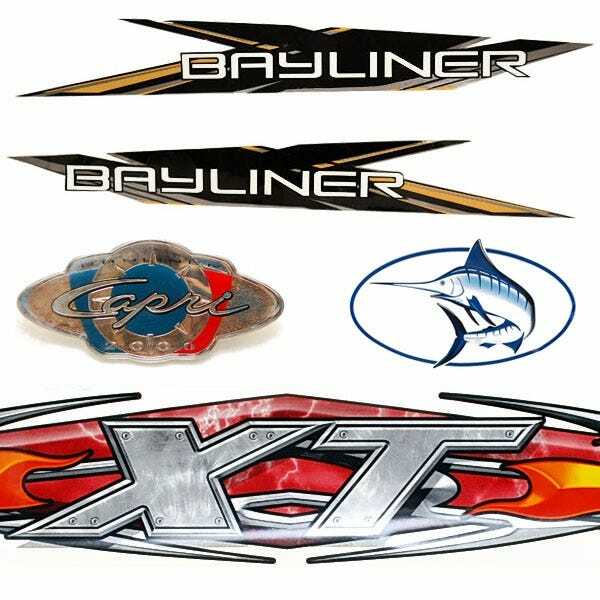 We have Bayliner boat graphic decals, Capri boat graphic decals, Ciera boat graphic decals, Jazz boat graphic decals, Maxum boat graphic decals, Trophy boat graphic decals and boat graphic decals kits from Avanti, Bayliner, Capri and Ciera. Thousands of new boat parts and accessories added monthly! As a discount marine supply store we bring value for your boat parts and marine supplies needs.